It is with humble acceptance of Gods Will that we announce the demise of Brother in Christ Mzee Francis Muringi Mutundurna of Karambari Village, Karambari Location, Siakago Division, Mbeere North Sub-County, Embu County. Son of the late Mutunduma Kabiriri and the lace Nchua Mutunduma. 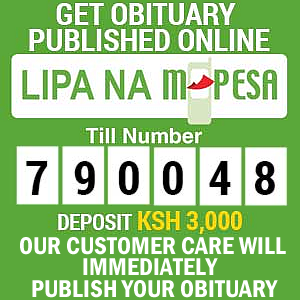 Husband of Stella Muthoni Muringi. Father of Tilas & Naleah, Peter & Evangeline, Daisy; Rev. Isaac & Major Rev. J. Wairimu: Catherine & Hon. B. Kandla; Jeremiah & Mercy: Panuel & Susan; John & Eva; Rhoda & Sgt. E. Njeru. Brother of the lace Pheris Nduci, step brother of the late Muchungu Mutunduma. 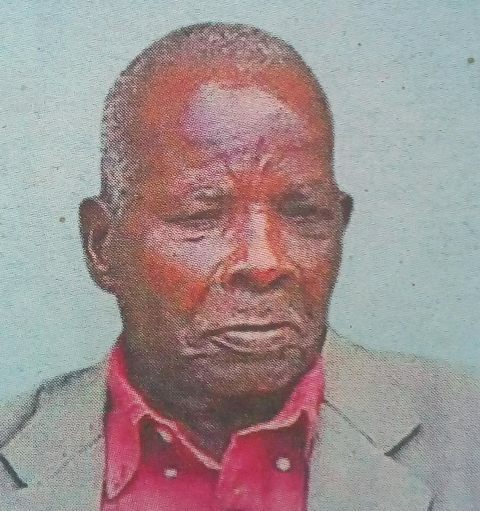 Son-in-law of the lace Simeon Njagi Muthunga & the Late Tabitha Muruga and the Late Milka Wanjue. Brother in-Law of the Lace Jonathan, the Late Evans, the late Janet, Ferdnard, Peterson, Jane, Fredrick, Amos, Zacharia and Lydia Wakere. Grandfather of 34 grand children, and 9 great grand children and uncle of many. Family and friends are meeting daily in Nairobi — Corner House 5th floor from 5.00.pm, prayer sessions are being held at Rev. Isaac & Jane House Membley Estate Ruiru and at his home in Karambari village. 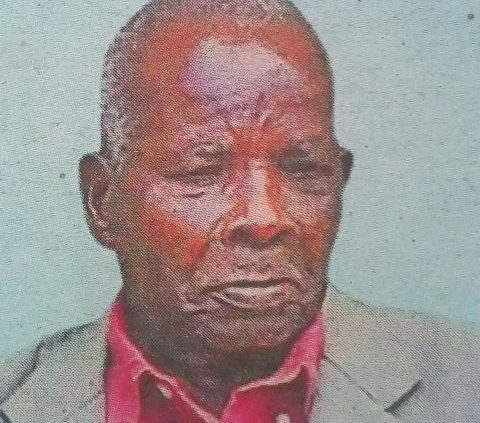 The cortege leaves Gakwegori Funeral home at 7.00am on Wednesday 17th April, 2019 Church service at ACK All Saints Karambari Church and thereafter burial at his home in Karambari Village, Karambari location, Siakago Division, Mbeere North in Embu County.